Posted March 26, 2018 by JoEllen Schilke & filed under blog, Civil Liberties, Civil Rights, Gun Control. 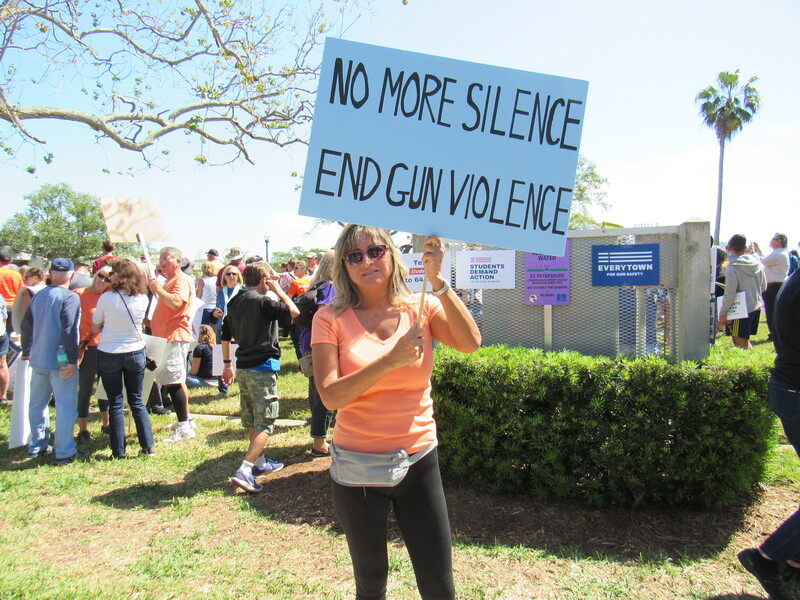 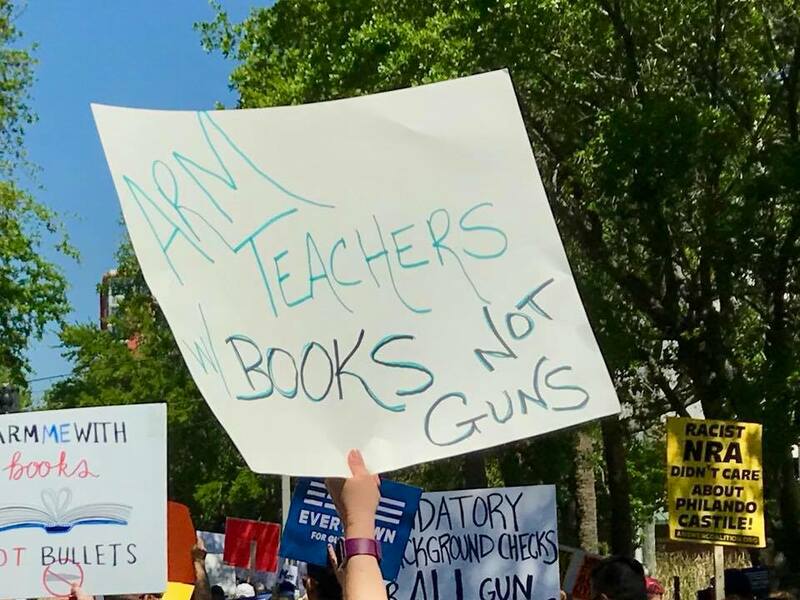 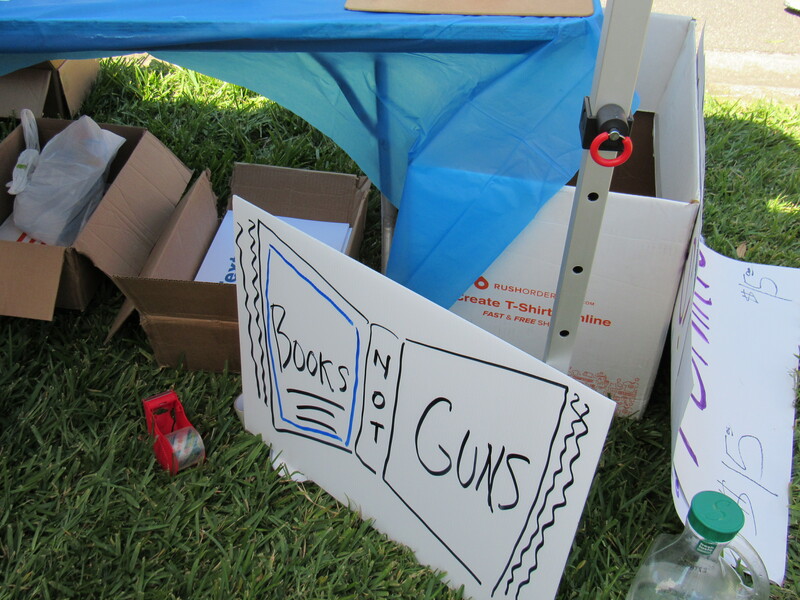 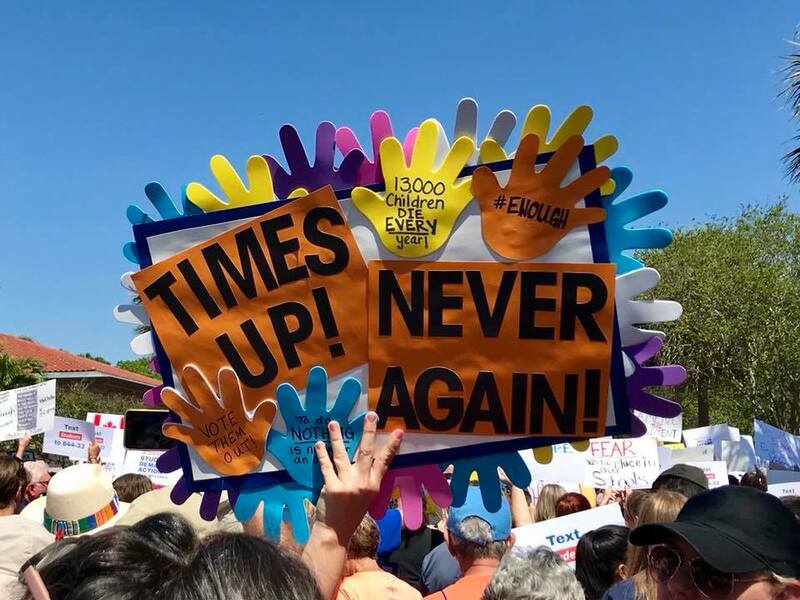 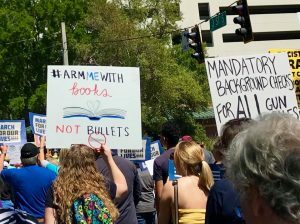 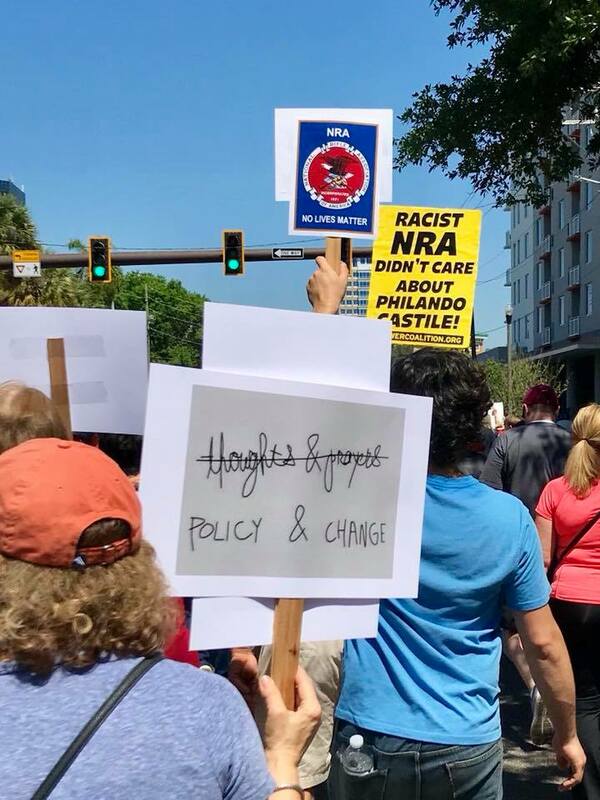 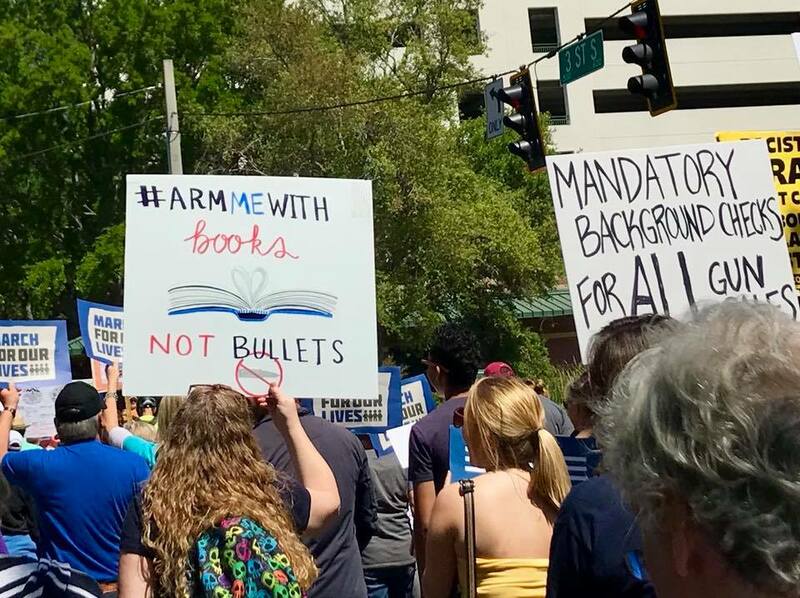 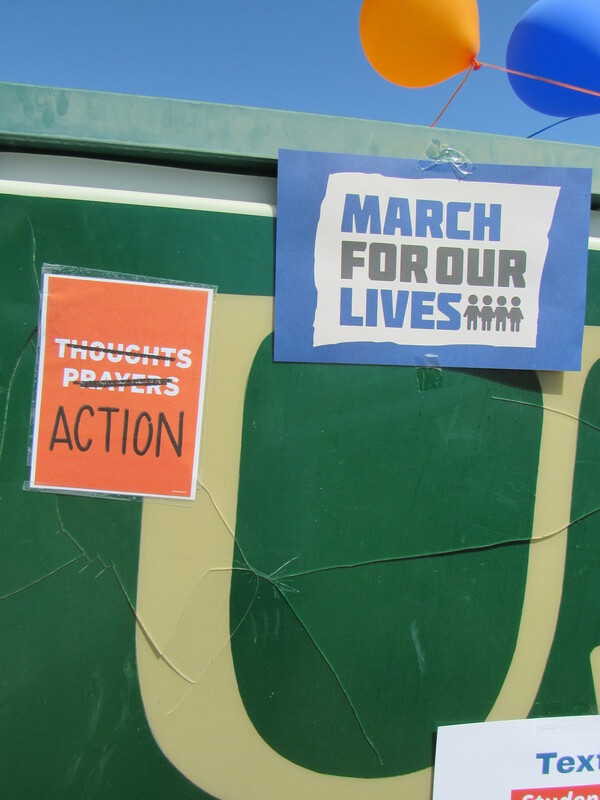 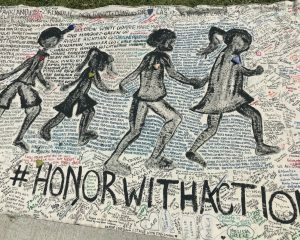 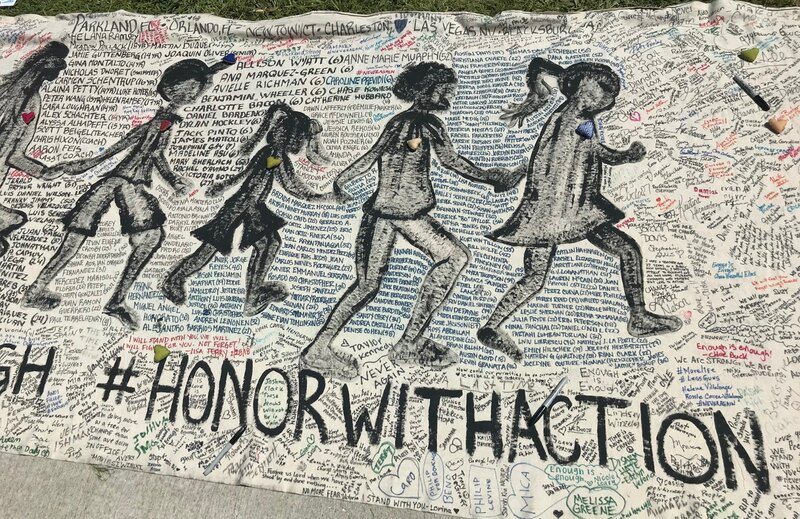 The March(es) For Our Lives captured attention all over the country, and all over the world, on Saturday, March 24. 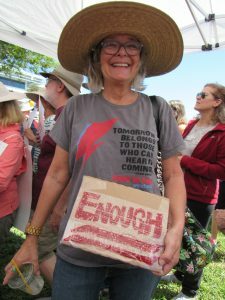 Estimates of the turnout in the US range from 1,200,000 to 2,000,000 attendees, occuring in 90% of the voting districts across the United States. 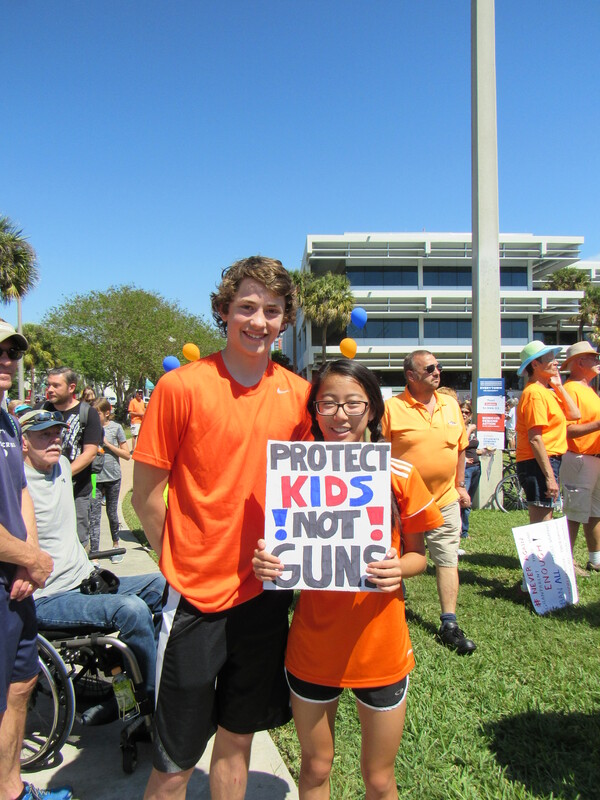 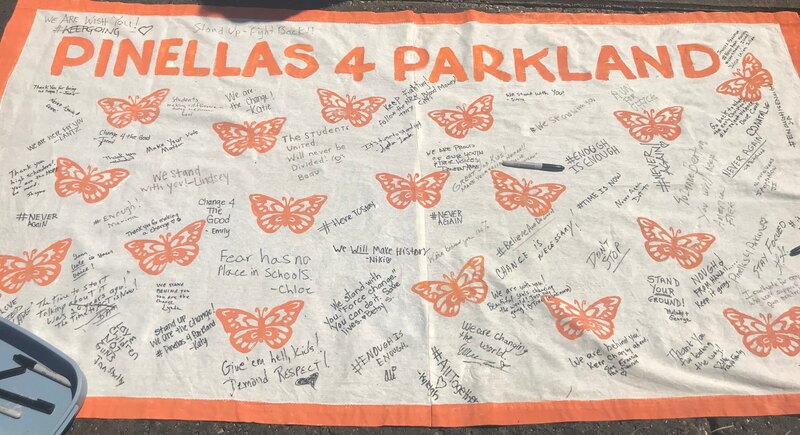 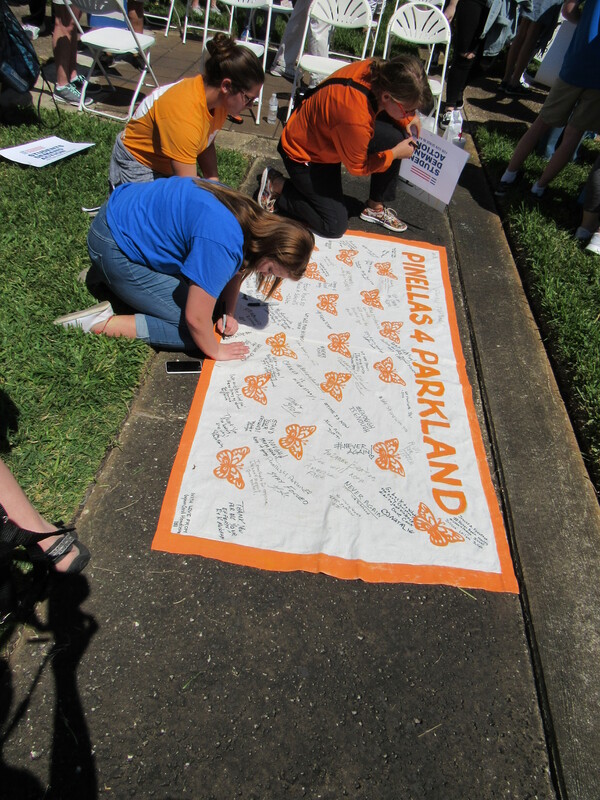 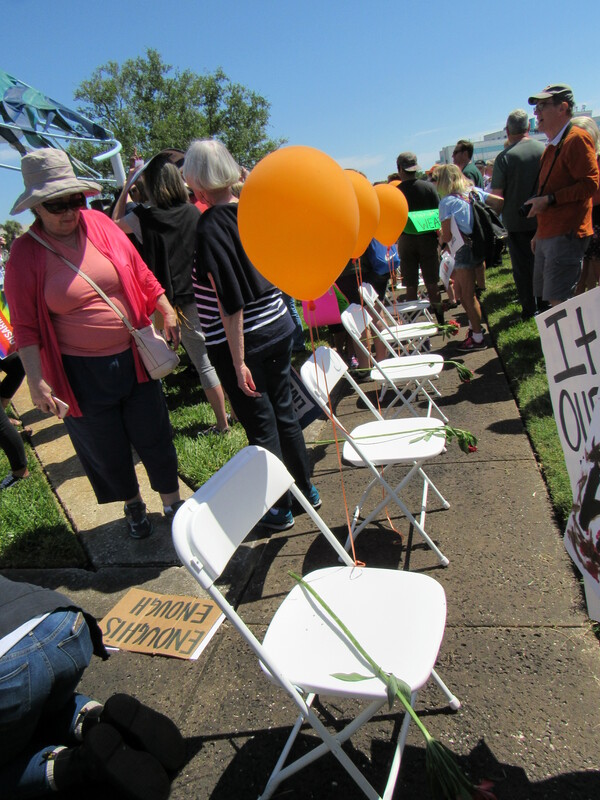 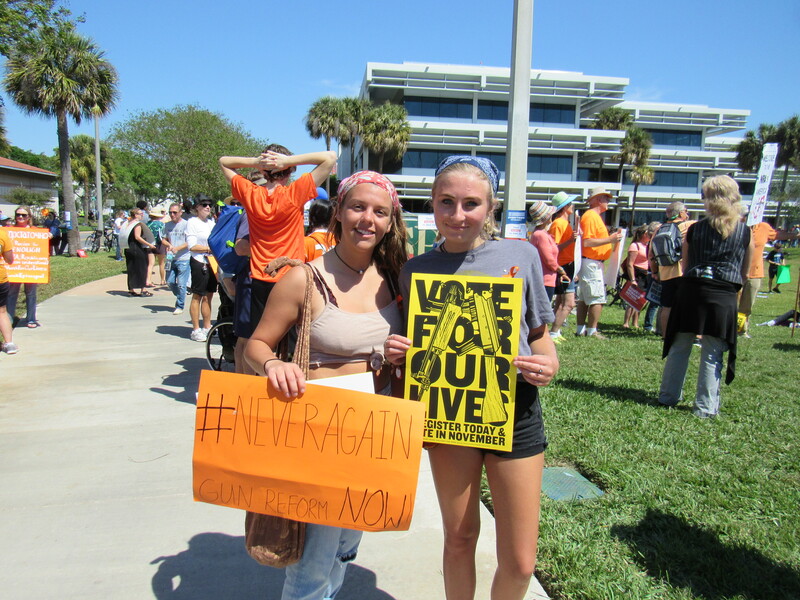 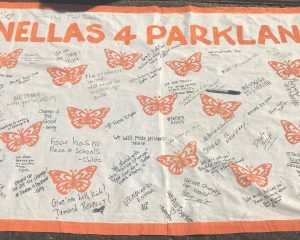 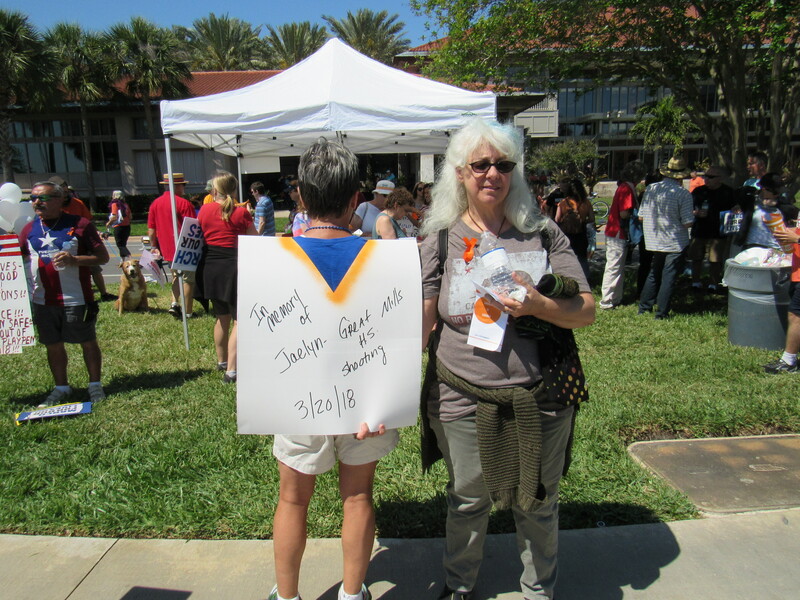 People were encouraged to wear orange, the color associated with gun control, or blue, for Parkland. 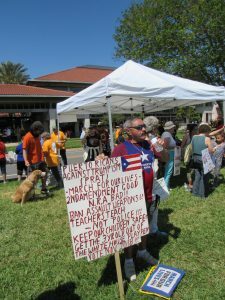 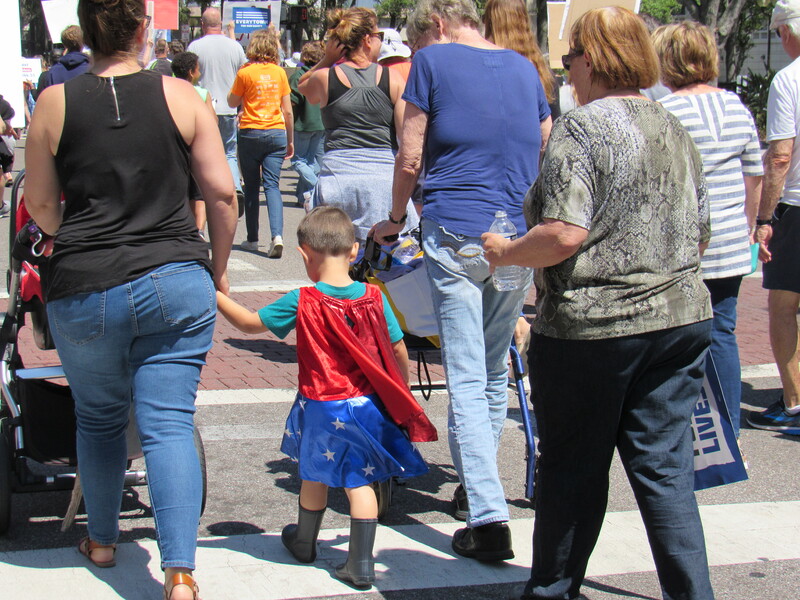 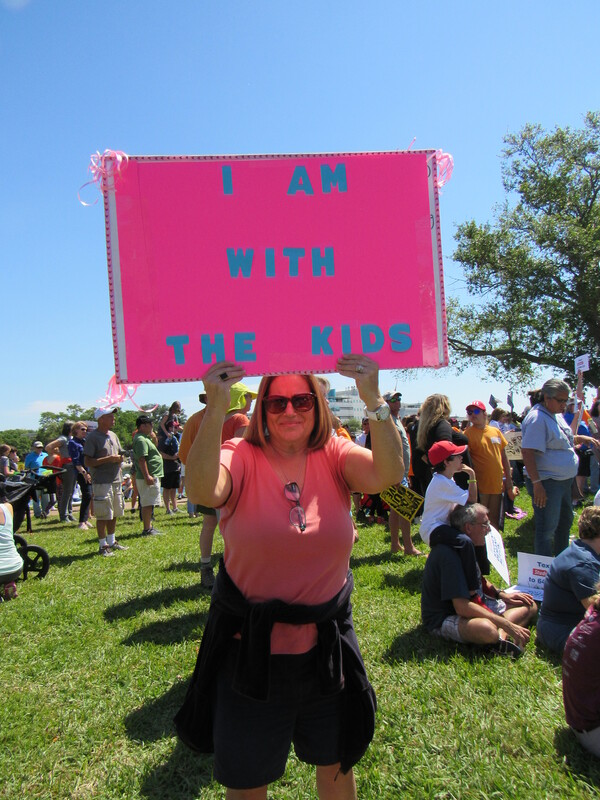 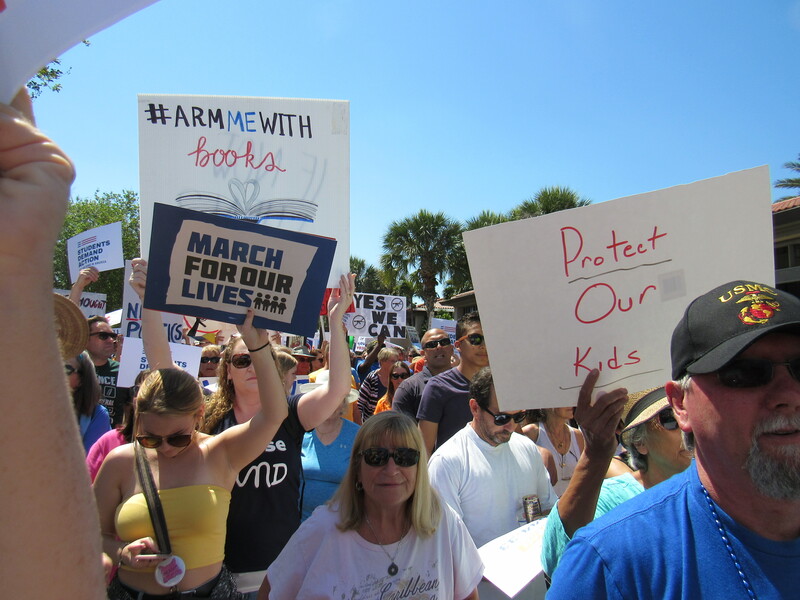 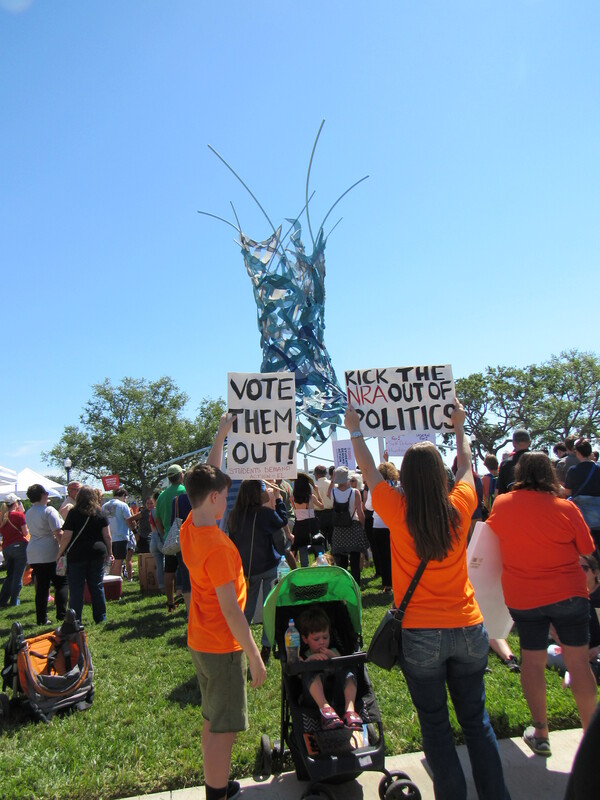 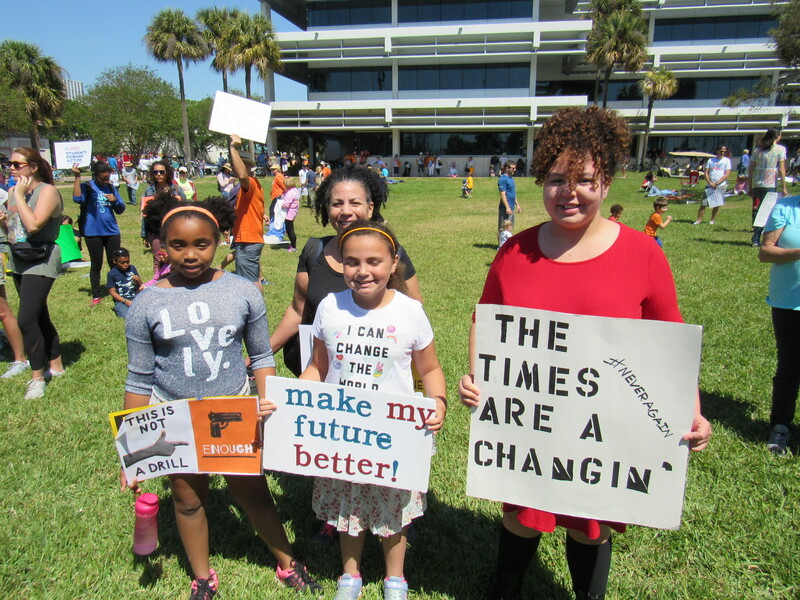 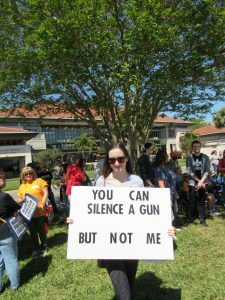 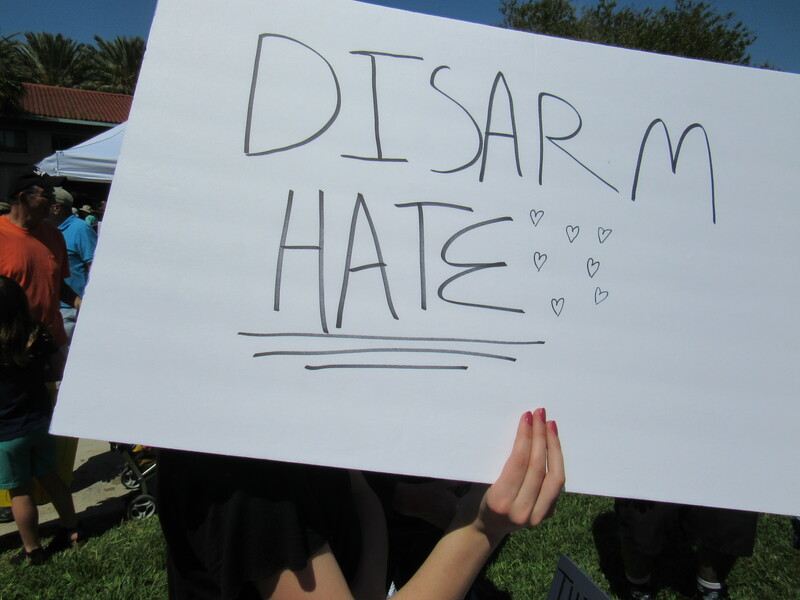 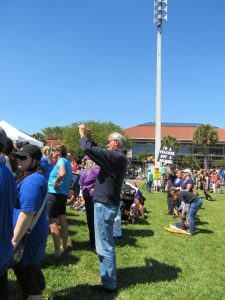 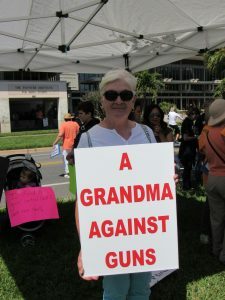 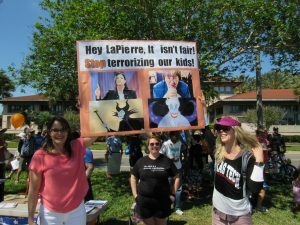 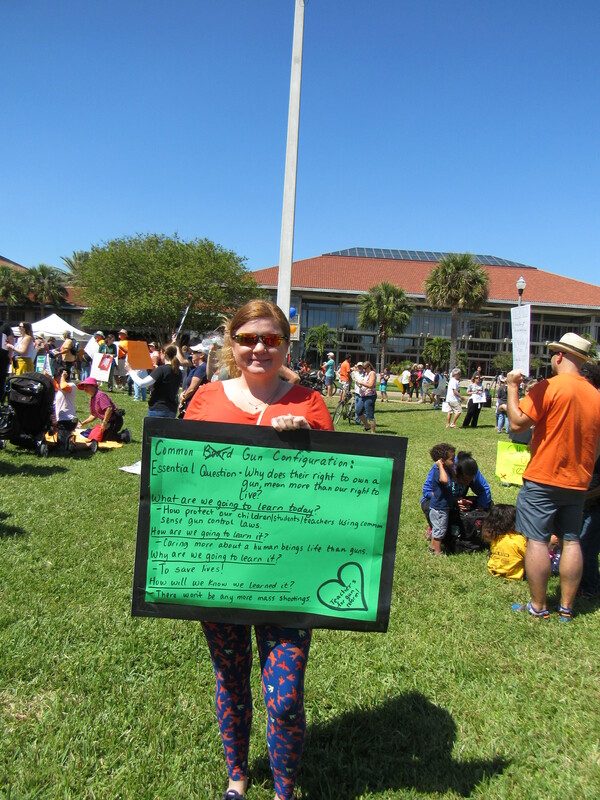 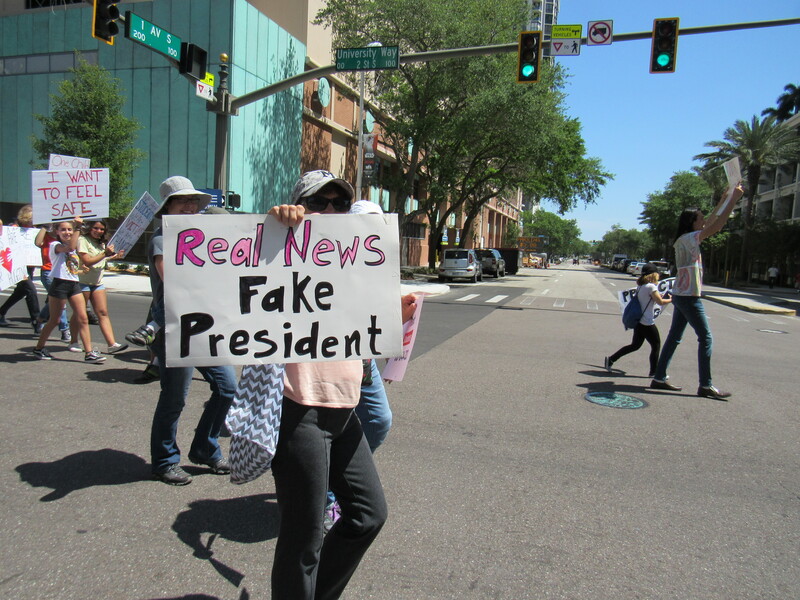 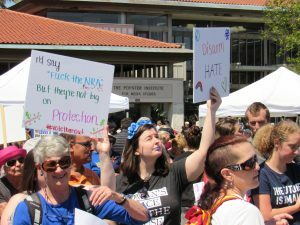 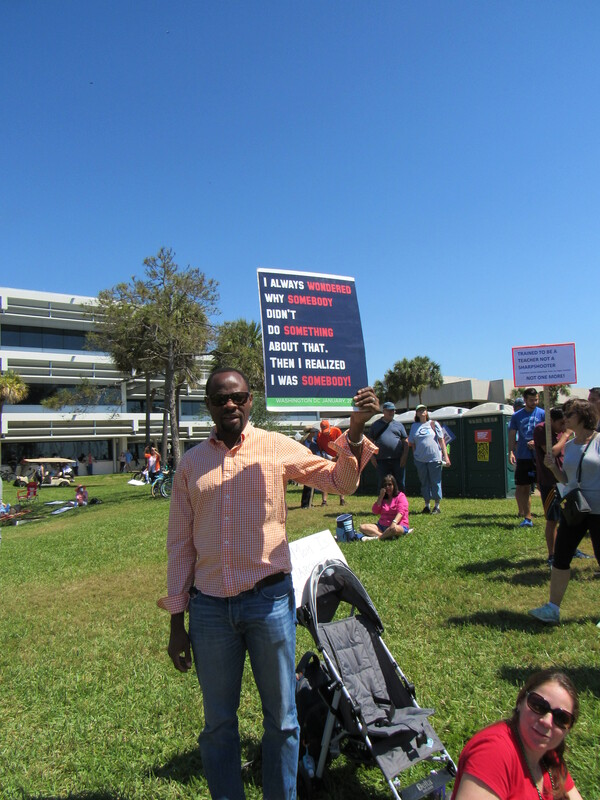 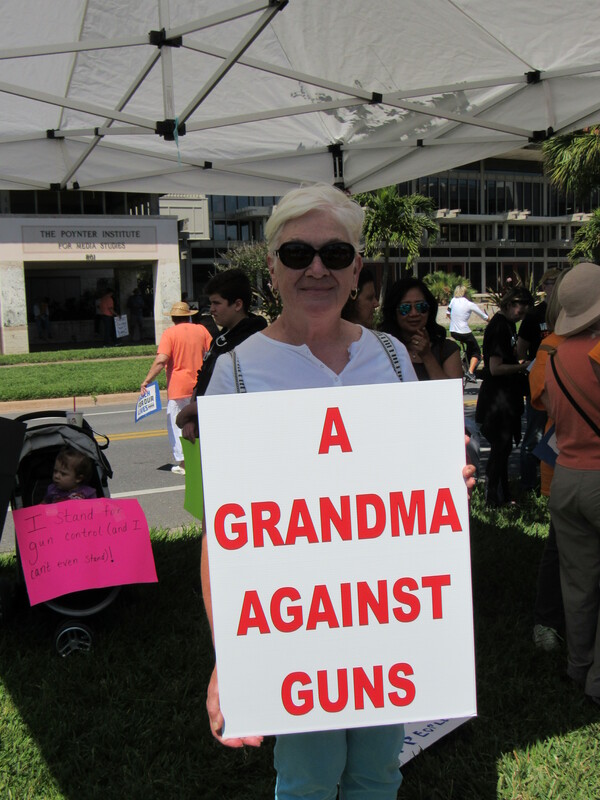 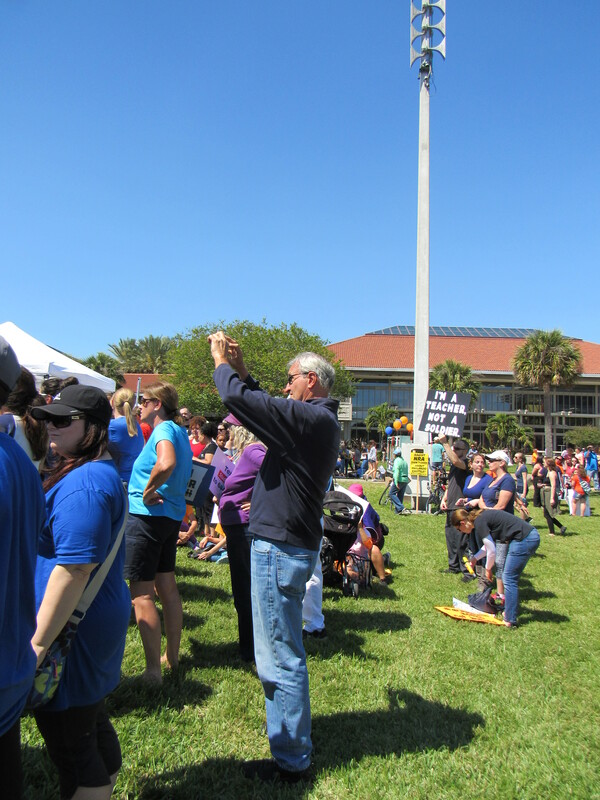 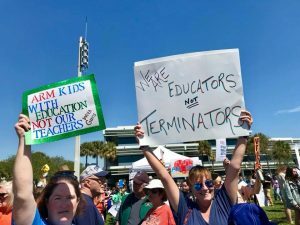 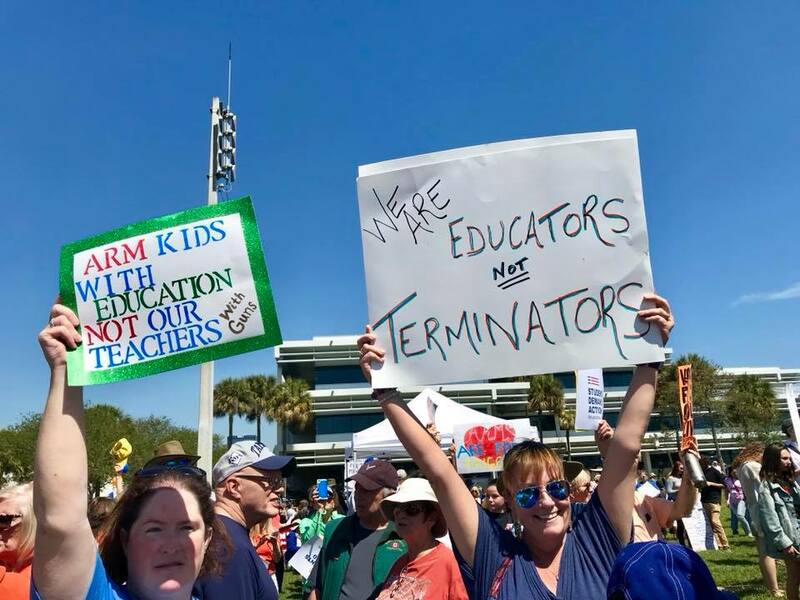 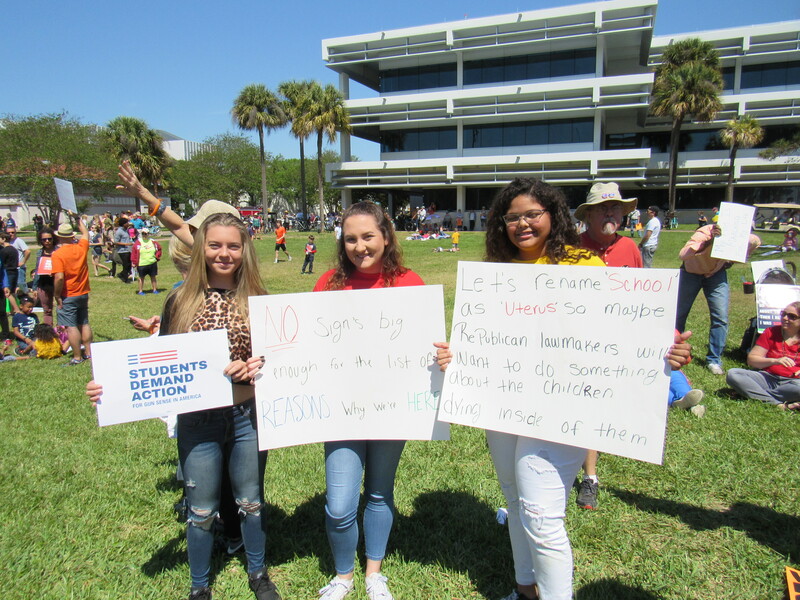 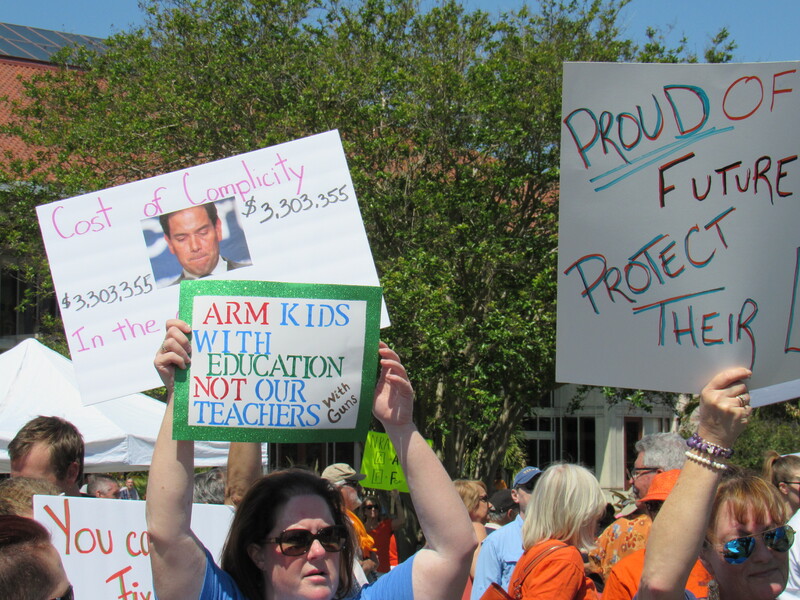 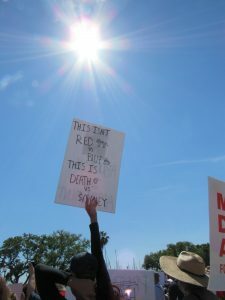 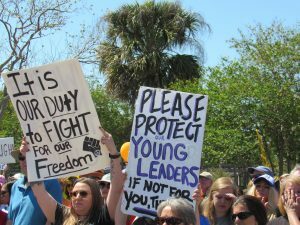 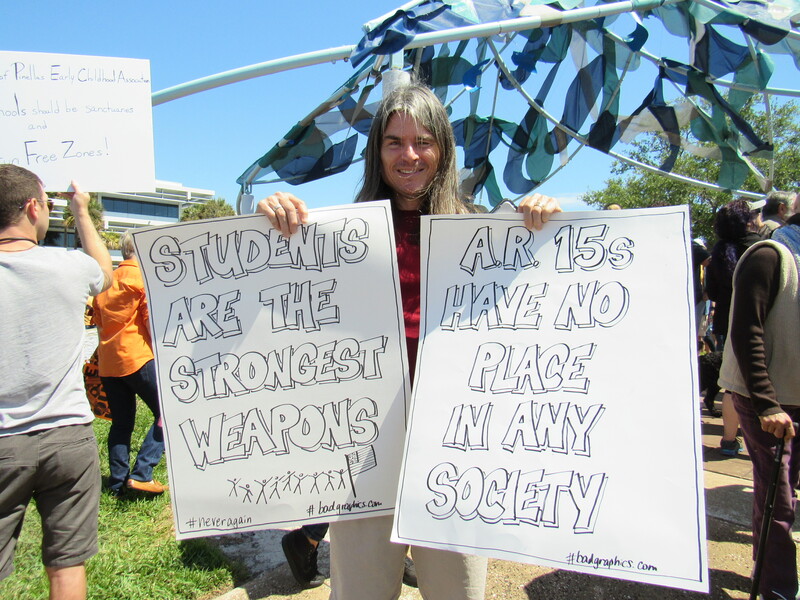 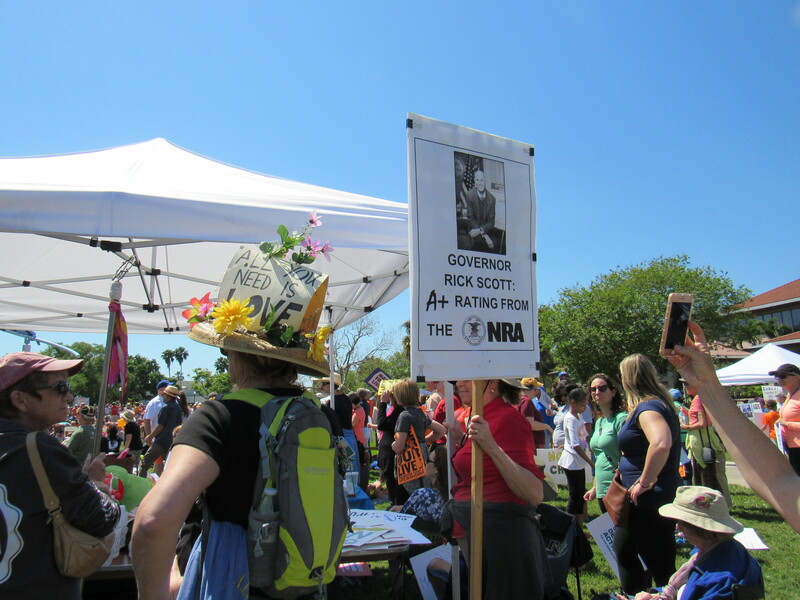 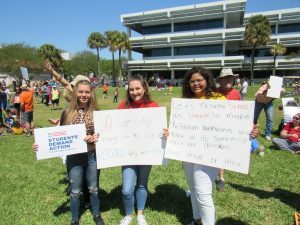 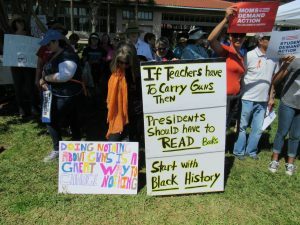 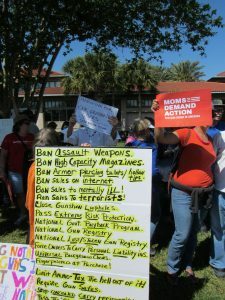 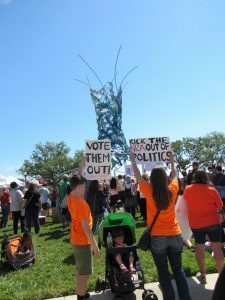 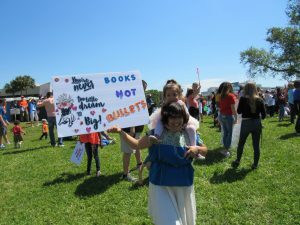 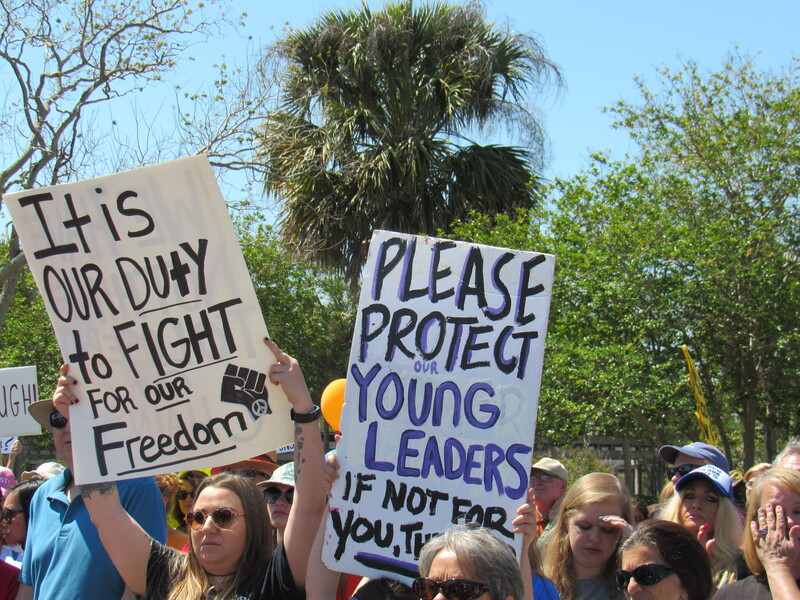 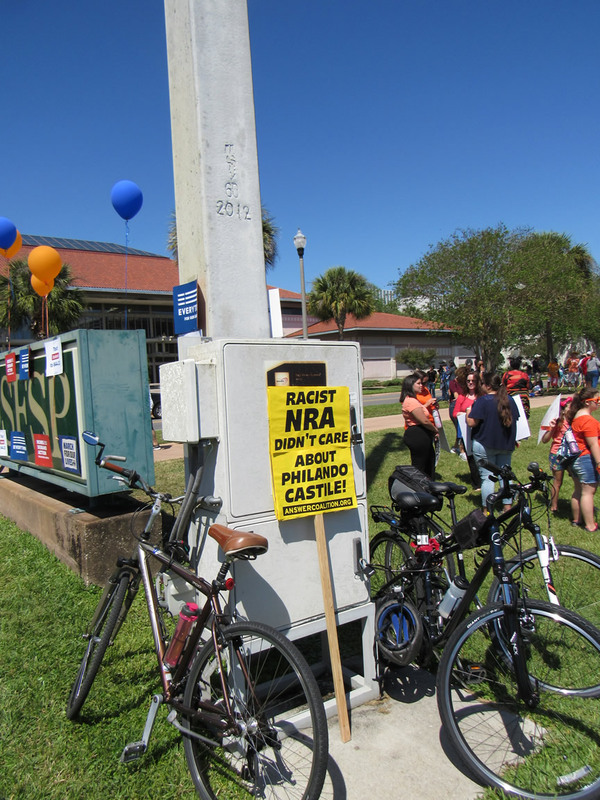 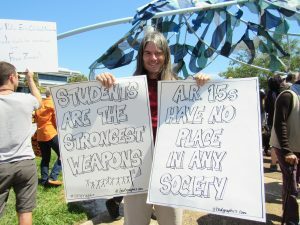 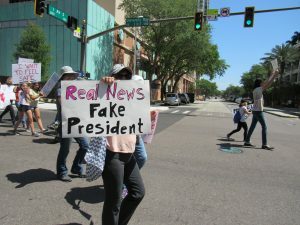 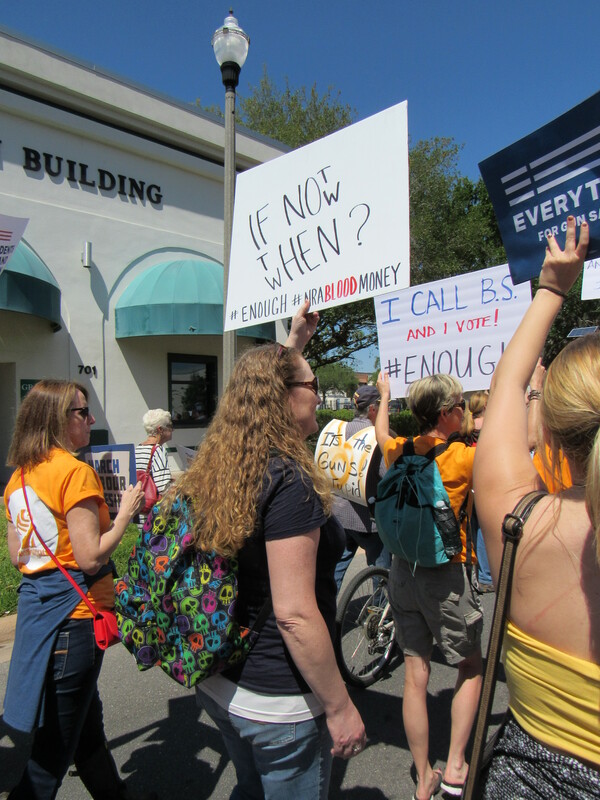 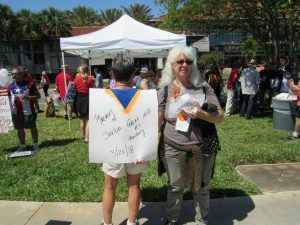 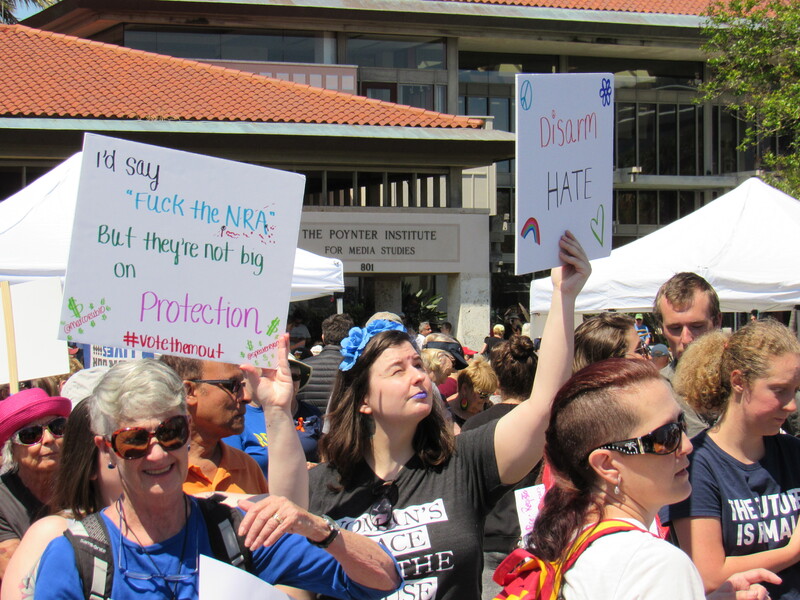 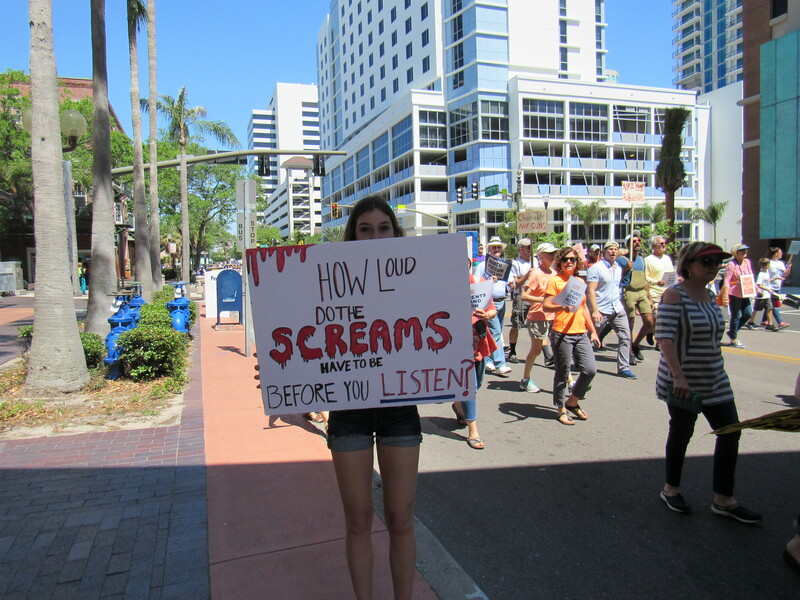 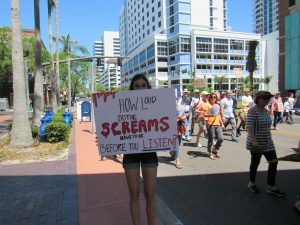 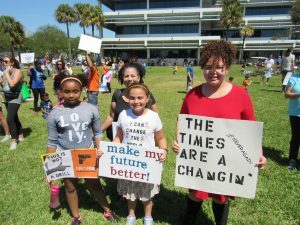 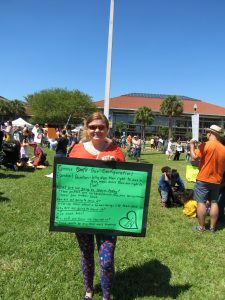 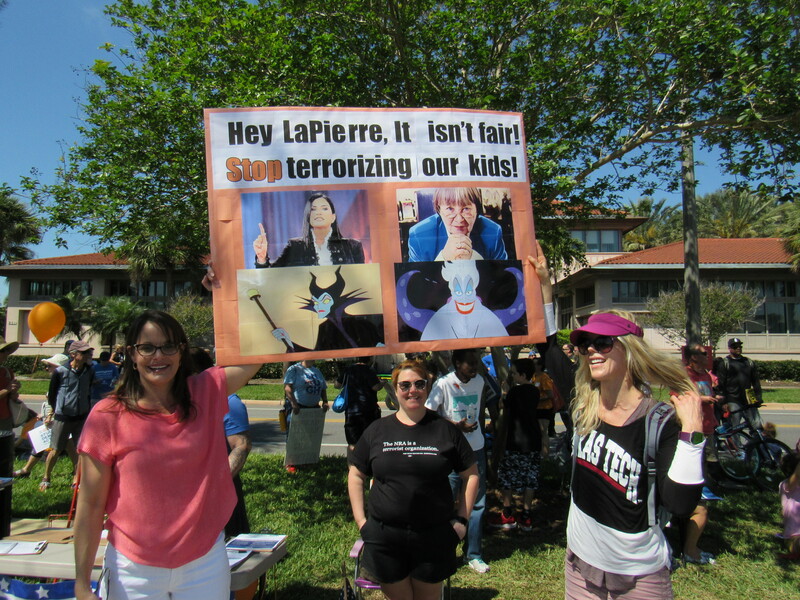 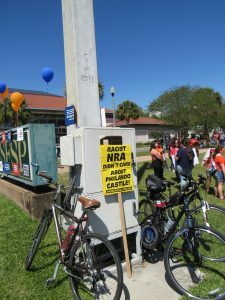 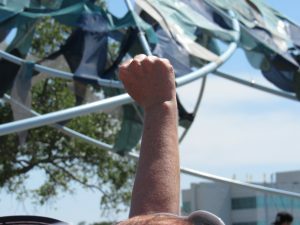 Here are some of the photos from the St. Pete march. Please feel free to add photos of signs from other marches if you want – put the photographer’s name in! 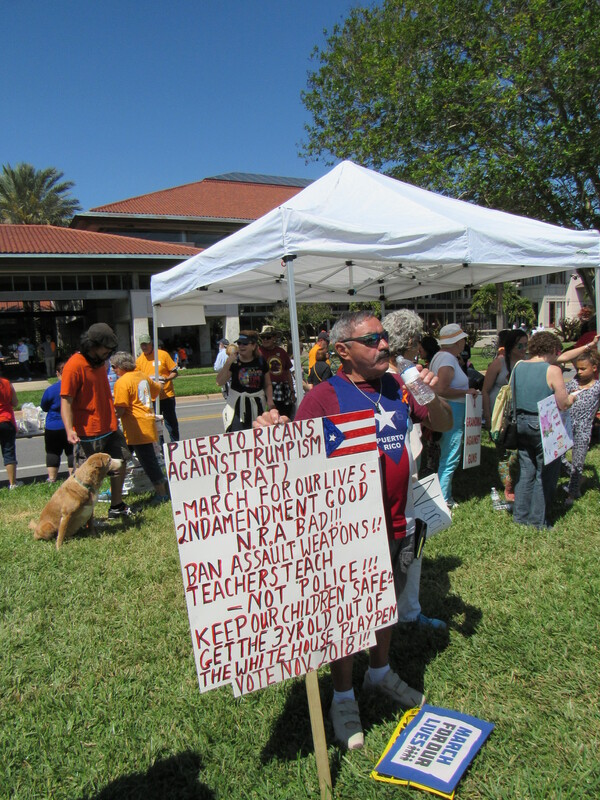 Rob Lorei at the march. 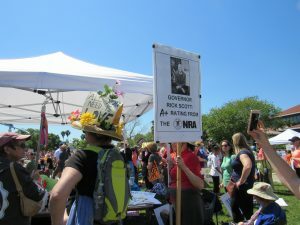 Hi Rob!